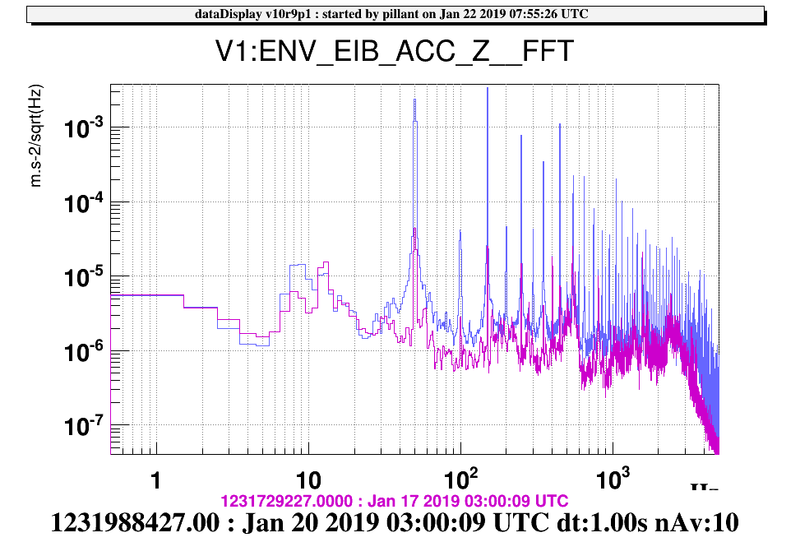 Since the EIB was suspended again, strong 50Hz and harmonic appeared in the strectrum of the accelerometer located on the bench. 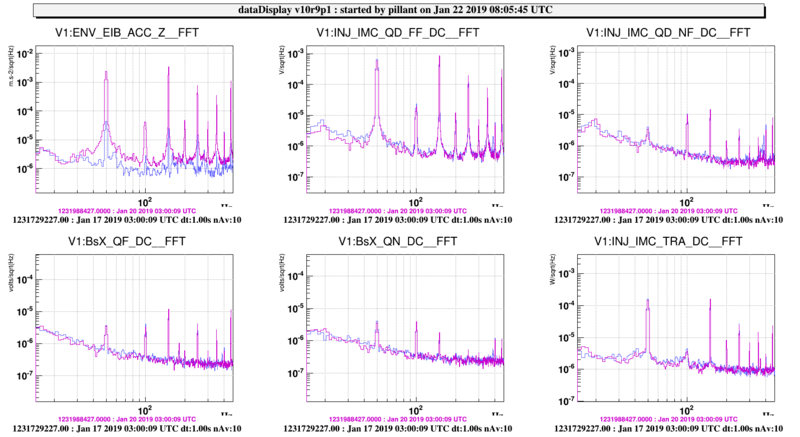 Quadrants and photodiodes on the bench are not affected (attached plots). After having investigated the accelerometer conditioning electronics in EERoom and found nothing, today we investigated the part on EIB. We found the culprint was the low-noise coaxial 10-32 to BNC cable that happened to be damaged maybe during the last intervention. Camilla replaced the cable, and the accelerometer now looks ok (Figure 1, purple is now).